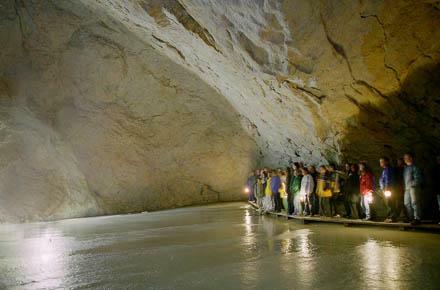 Near to Hohenwerfen Fortress, in olden days a strategic bulwark, there is the largest system of ice caves in the world. 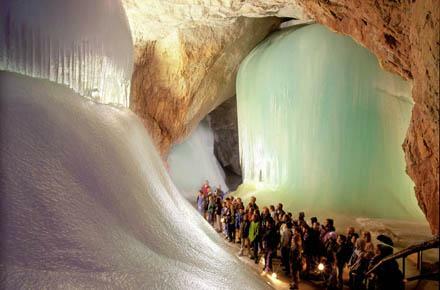 Experience a miracle of nature, the EISRIESENWELT, THE LARGEST ICE CAVES IN THE WORLD. Celebrities and artists now how live becomes exciting: Outstanding places provide outstanding experiences. 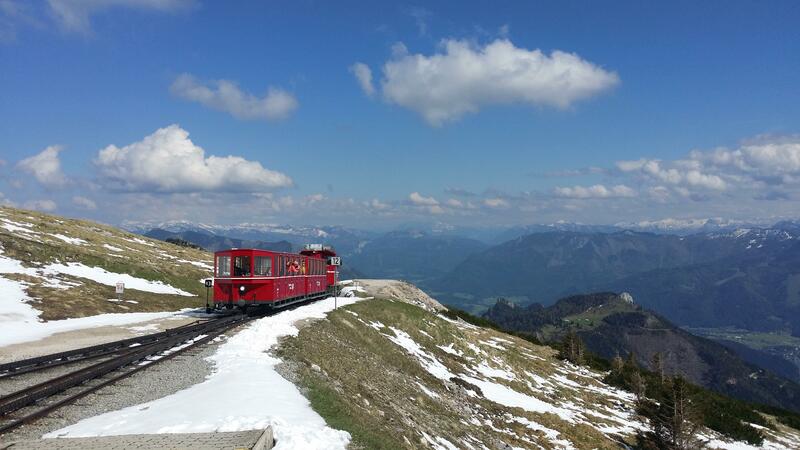 This uniqe tour offers you many sights and insights to behold: An overwhelming view far into two countries from top of the powerful mountain Untersberg, shrouded in legend; a “Magical Forest” and much, much more. Commissioned by Hitler to meet officials it was part of the Obersalzberg military complex and thus crucial for the Third Reich. 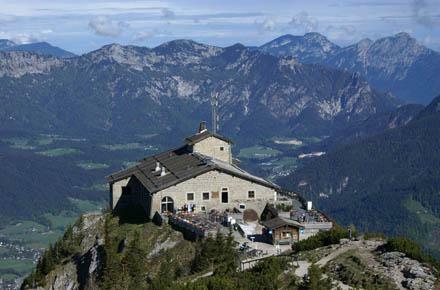 Like an Eagle’s nest it tops the mountain Kehlstein at 6017 ft and is an architectural master piece. The road up to there is unique in the world and a milestone in road construction. Indeed, this tour is a package of superlatives. 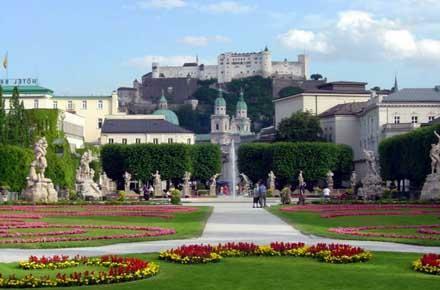 This tour will provide you a comprehensive overview of Salzburg incl. "The Sound of Music" Highlights. Beginning with a great panoramic view over Salzburg from high above we will “spiral” from the outer city to down town, from present-day to historic Salzburg. 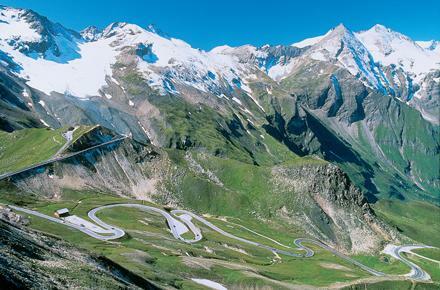 It needs 28,8 miles and 36 hair pin curves on the internationally acclaimed Grossglockner High Alpine Road to get up to Austria’s highest mountain with the longest glacier in the Eastern Alps. The high alpine environment with great panoramic views, the specific flora and fauna and excellent information centers make this tour an outstanding one. 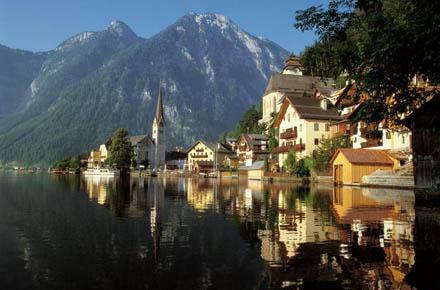 On this tour you will explore one of the most picturesque parts of Austria with Hallstatt and Lake Hallstättersee. The UNESCO Cultural Heritage Committee wrote: “… nature of extraordinary beauty added to scientific import …” Hallstatt Salt Mine is the oldest one in the world – 7000 years of mining – and the spectacular findings even gave a culture and epoch its name. 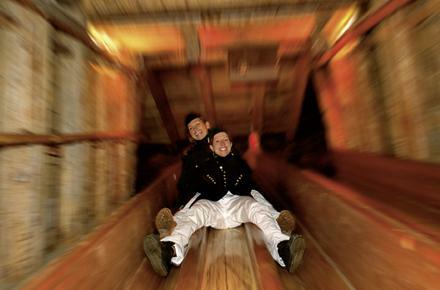 On this tour you will not only explore one of the most picturesque parts of Austria with Hallstatt and Lake Hallstättersee – the UNESCO Cultural Heritage Committee wrote: “… nature of extraordinary beauty added to scientific import …” but also the oldest salt mine in the world. The spectacular findings even gave a culture and epoch its names. Haute Couture and the world of fashion have become unthinkable without the famous Swarovski Crystals. 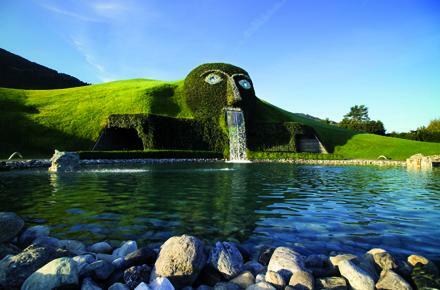 People of all around the world are passionate collectors of the extraordinary creations and more than 700,000 guests per year visit the magic Swarovski Crystal World and are carried away into a world of fiction. Combined with Innsbruck, the “Capital of the Alps” and scene of two Winter Olympics this day trip is full of great impressions all-year-round. No matter if you ski or not, you will enjoy this tour! 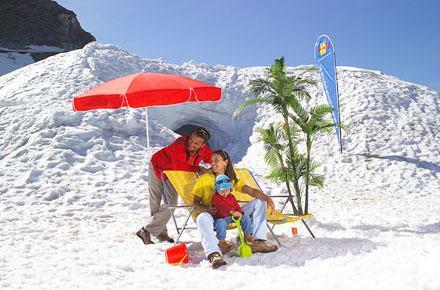 Kitzsteinhorn provides excitement and pleasure with natural snow throughout the year. Ski, stroll on the glacier, walk through a panorama tunnel to the other side of the mountain and enjoy a stunning view onto Austria’s highest peaks including Großglockner. These impressive waterfalls – 5th biggest in the world – 1250 ft in three steps – are a must-see. 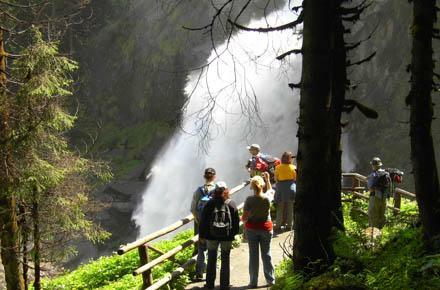 On the waterfall trail with viewing platforms you can get very close to the breathtaking spectacle until you reach the top fall and the peaceful valley of Krimmler Aache. 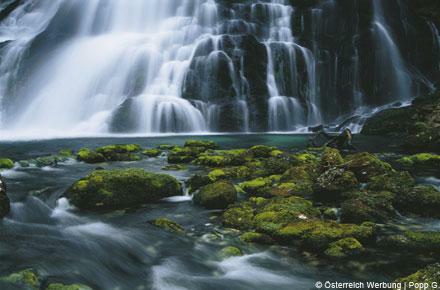 The waterfalls are Austrias only Natural Monument and were awarded with the European Diploma of Protected Areas. The Lake District – four lakes, mountains, rock faces and the rural beauty a stone’s throw away from Salzburg – was and is setting for world famous movies (i.e. 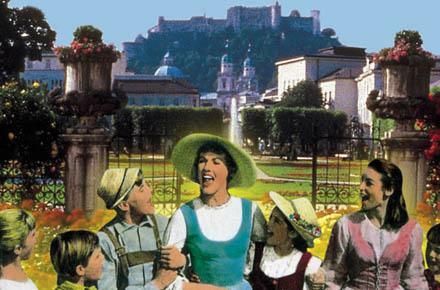 The Sound of Music) and operettas. 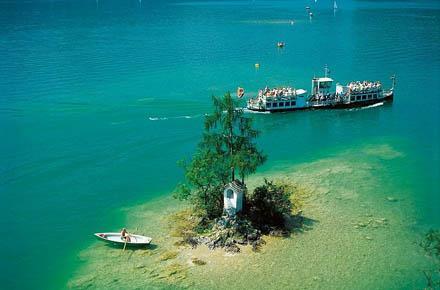 It is one of Austria’s most beautiful regions. The Lake District – four lakes, mountains, rock faces and the rural beauty a stone’s throw away from Salzburg – was and is setting for world famous movies (i.e. The Sound of Music) and operettas. It is one of Austria’s most beautiful regions. Nevertheless, it is possible to crown the Lakes Tour with a ride up to mount Schafberg with its almost vertical north face visible from afar. Mauthausen Concentration Camp - a memorial. 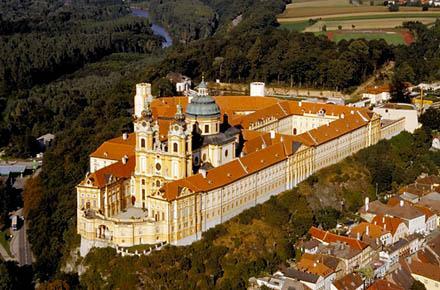 Melk Abbey – a center of spiritual, intellectual and cultural life and art. Danube valley Wachau – natural beauty and awarded wines. 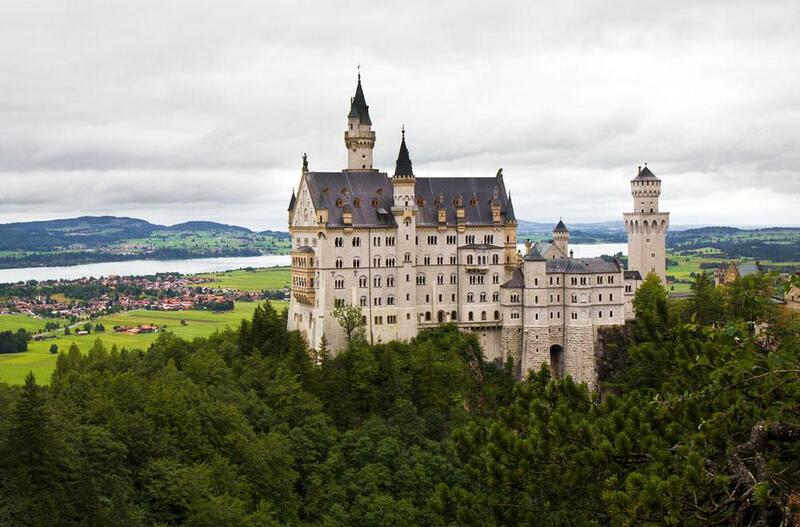 Neuschwanstein is the utter manifestation of the Fairy tale King’s phantasies and dreams and is often referred to as being the most romantic castle in the world. Linderhof Palace, gardens and park are likewise impressive. 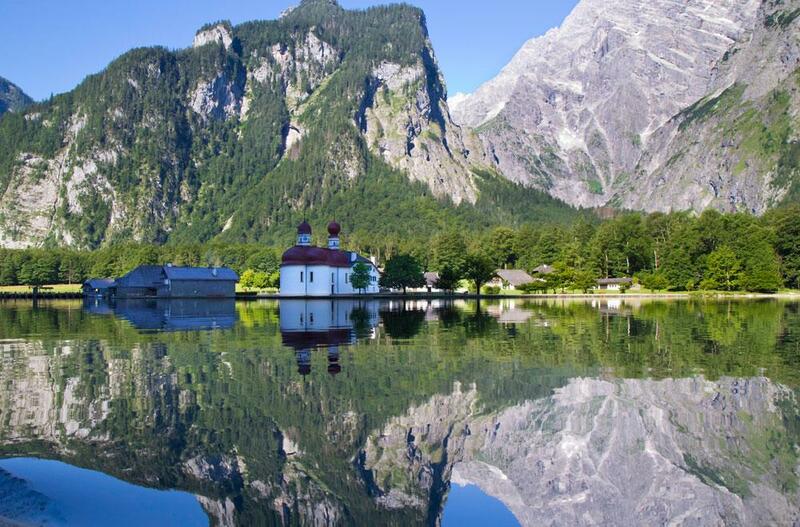 Together with the most beautiful Rokoko building in Europe, the Pilgrimage Church of Wies, and Oberammergau this tour is as outstanding and fascinating as the eccentric king and his life and the miracle of Wies. Immerse in Vienna’s unique ensemble of a former empire’s grandeur and meeting point of cultures; in its sophisticated charm and the pulsating present day life. 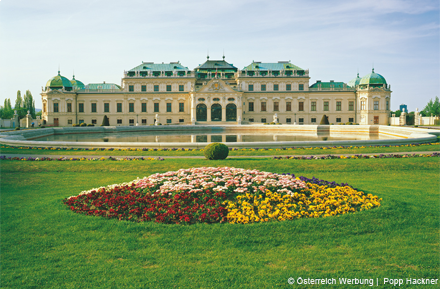 On this tour you will see the most significant historical sights and you will get an impression why Vienna has such a reputation among the world’s capitals. 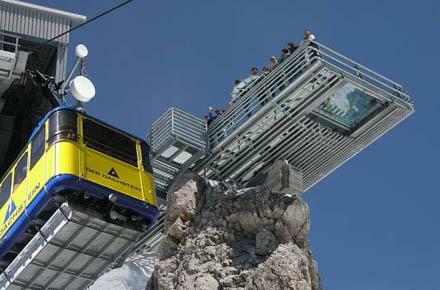 Dachstein Glacier actually consist of 8 glaciers and on top of the mountain human masterminds created two attractions: Maybe the most spectacular vantage platform in the Alps, the Skywalk and the Glacial Palace, a world within the glacier. You have no tours in your shopping cart.